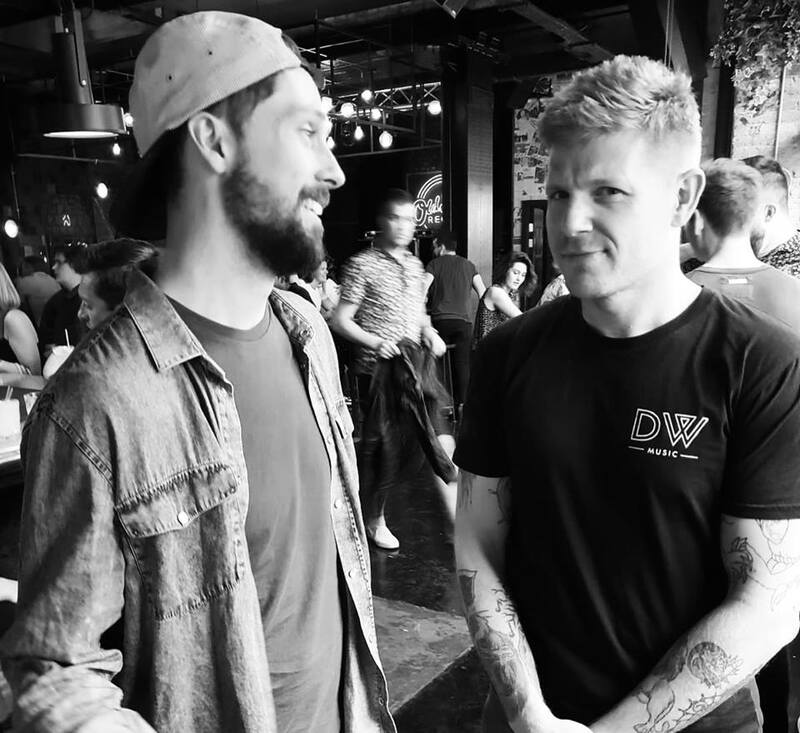 Koby Geddes and Ardie Worsley both originated from Sydney, Australia, but barely knew each other until they reunited in a bar on Portobello Road in London in 2017. It turns out they worked in the exact same job and company a year apart, toured alongside the same bands on separate music projects before coincidentally making their exodus to the UK within the same week. The experience of relocating to London and the anguish of fleeting friendships in a foreign country provided the perfect impetus for collaborating and writing music together. The duo have somehow managed to produce the grit and force of a full rock band between two people. Their music is characterised by powerful riffs and hooks owing to an alternative guitar and bass set up that triggers both tones from one guitar, some flashy strumming and drumming and succinct vocal harmonies; sounding somewhere between Foals, Billy Talent and Biffy Clyro. There’s no doubt that DAM_FINO’s music has a hard rock edge to it, but it’s definitely been painted by the blend of genres that the two have played across in their past musical ventures. Both songwriters and session musicians in their own right, they have collectively played in iconic rock (Dividers, Seven Steady), hip hop (Snob Scrilla), ska (Bagster), dance (Midnight Pool Party), and pop (Jubilants) outfits to name a few. While steadily establishing themselves in the UK indie-rock scene, DAM_FINO are currently recording their debut release due August 2018, recorded and mixed between their current home (Orpheus Studios, London) and hometown (Electric Sun, Sydney, Studios 301, Sydney).